We specialize in offering a wide range of Mop Refill. These are widely admired for their quality finish and exclusiveness. Manufactured from first grade raw materials, these mops are the perfect blend of durability and reliability. These are admired for their quality finish. High quality kentucky mop with heavy virgin pp clip quality and color code south cotton high absorbent refill, Best fitted for heavy Industrial cleaning usages. Lite kentucky wet mop is desinged to meet the industrial cleaning needs not needing heavy application of floor cleaning, the 250 grams refill makes it easy to lift and use the mop due to lighter weight. The refill material is super bleach high absorbent cotton which leaves a deep and shiny cleaning impact. EG Clip mop uses lite weight refill material as it is designed to meet the need of domestic as well as Micro Industrial usage. It gives a neat and clean finish to the surface because of the bleach high absorbing cotton. Bottle mop is designed in a very basic structure to give easy to use feature and serve the daily cleaning requirement of domestic users. The high absorbing refill threads give it an edge and makes the surface clean quickly. Smart twist cleaning wet mop makes the work easy to squeeze out the extra absorbed water in seconds to provide users a more easy and convinient way to clean. The cotton breaded refill is fine quality prouduct with an extended life and strength. EG Dry mop is manufactured to serve the dry mopping pupose of small enterprises and even households with the Acrylic and Cotton thread quality. 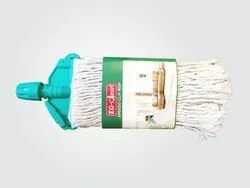 This mop is durable, fine, budget freindly and better than other copmarable products in the market. The wet mop categories basic cleaning equipment is ROUND MOP, it uses cotton high absorbent threads to give a quick & easy result. Dip and Go techinque for both Domestic and Industrial cleaning requirements. Looking for WET MOPS ?